The safety of small trailers has recently come into question and, under the Haulage Permits and Trailer Registration Act 2018, the Department for Transport (DfT) is required to prepare a report relating to the safety of trailers (including caravans) which can carry a load between 750 kg and 3,500 kg. This report will include an assessment of whether mandatory testing and registration of these trailers should be introduced. Whilst many small trailers are used by private individuals for leisure or domestic purposes, there will be a number of FORS operators that run small trailers for carrying building materials, specialist equipment etc. It would be helpful for DfT to hear your opinions on small trailer registration and testing. It would also be useful to know whether O licenced fleets inspect and maintain their non-O licenced trailers in the same way as their O licenced ones. 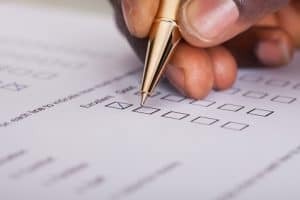 The survey is short and anonymous but if you do want to make specific additional points, you can leave your contact details and the survey team will be in touch. To access the survey, click here. If you are a FORS company, or if you are working towards accreditation, your business is entitled to some exclusive fuel cost saving offers from FORS Fuel Expert from Fuel Card Services. Click here for more information.